In the Philippines bananas are abundant. We have lakatan, latundan, saba, Cavendish, senorita, butulan and other varieties. 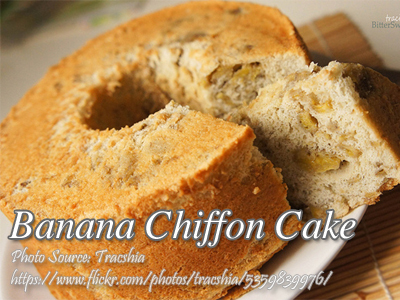 For this banana cake, the lakatan, Cavendish and latundan are suitable for making cakes. This banana recipe here also have a butter-rhum sauce to make the taste more elegant. Preheat oven to 325 °F, and place rack in lower third of oven. In a 3 quart mixing bowl, sift flour three times with 1⅓ cups of the sugar, baking powder, salt and spices. Set aside. In a 1½ quart mixing bowl, combine bananas, oil, egg yolks and vanilla. Pour into center of dry ingredients. With a rubber spatula, stir until smooth. Set aside. In a bowl of heavy duty mixer with attachment, beat egg whites on low speed (no.3) until frothy (about 45 seconds). 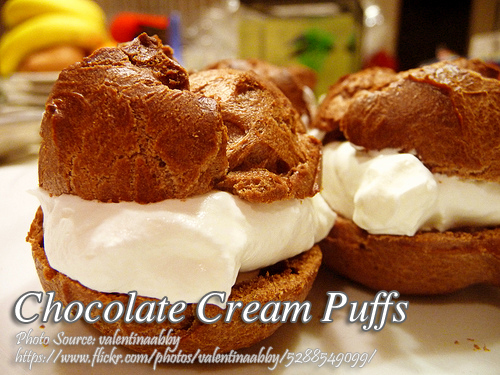 Increase speed to medium (no.5) , add 1 teaspoon of the sugar, and whip until soft, white peaks form(about 1 minute). Continue beating on medium speed, add remaining 1½ tablespoons sugar in a steady stream, and beat until thick, glossy and white (but not dry) peaks form(1½ minutes). Detach whisk and bowl. With whisk attachment, whip by hand for 5-10 seconds to bring egg white foam uniformly together. Scoop a third of egg white mixture into banana mixture, and fold in with rubber spatula. Then fold in remaining egg white mixture until combined. Pour batter evenly into ungreased 10 x 3-1/4 inch tube pan with removable bottom. Bake 50 - 55 minutes, or until top springs back when lightly touched and a toothpick inserted in center comes out clean. Remove pan from oven, and immediately invert over a long -necked bottle to cool for 2-3 hours. To remove cake from pan, carefully run a flexible metal spatula around the edges. Keep spatula up against pan to ensure a smooth -sided cake as possible. When sides are free, push up on removable bottom to release cake completely. With the bottom still attached, tilt pan and tap it gently against counter to loosen cake. Rotate pan, tapping it a few more times, until cake appears free. Invert a rack over top of pan, and turn pan and rack upside down. Lift off pan. Brush butter rum sauce on warm cake. In a small saucepan, mix water, rum and sugar, and bring to a boil until sugar dissolves. Remove from fire and stir in butter until melted.